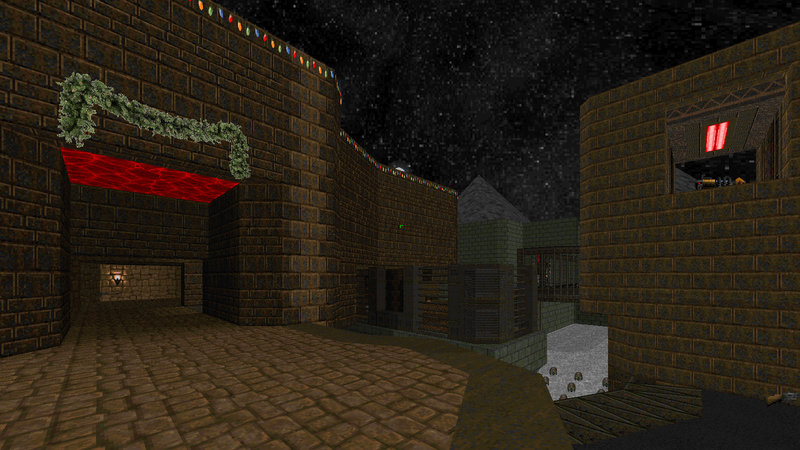 I was approached by Marcaek a month or two before Christmas of 2015 to see if I would be interested in contributing a DM map to his Christmas Extravaganza Map Pack project. I was apprehensive to add another contribution to my list of unfinished projects at the time, but I agreed after remembering that I had an unfinished layout lying around (that I originally made for SpaceDM9). 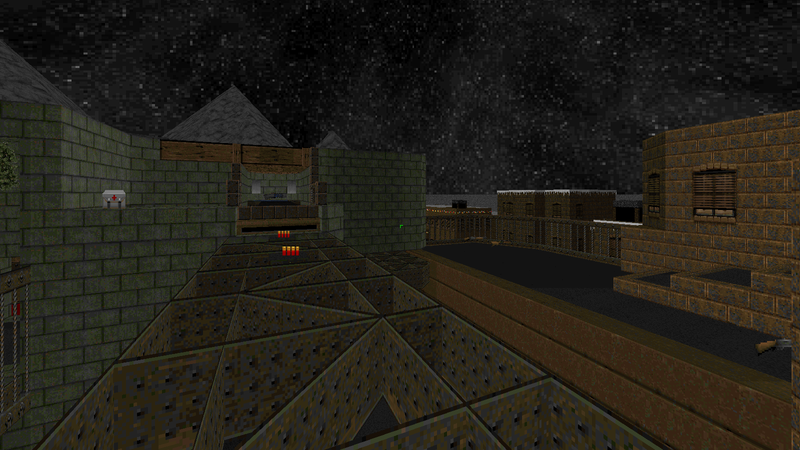 The map was in UDMF format (my first ever actually) and would work just fine for the project after some tweaks. 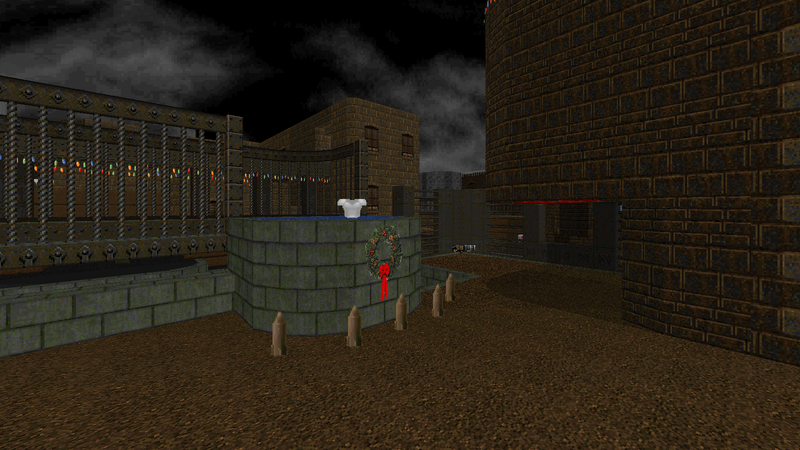 I finished up the map a few days before Christmas, and titled it Rooftop Jingle Jams. 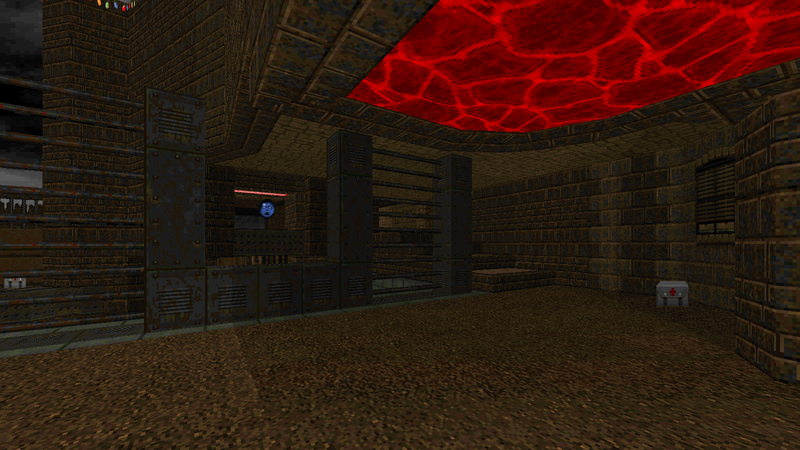 It’s a compact map with layered height differences and some 3Dmidtex walkways. I made use of all of the new CEMP ice weapons and countered them with the inclusion of freeze-resistant armor. I detailed the map to resemble some sort of rooftop in a cold, wintery cityscape; you can see the other buildings around into the horizon. 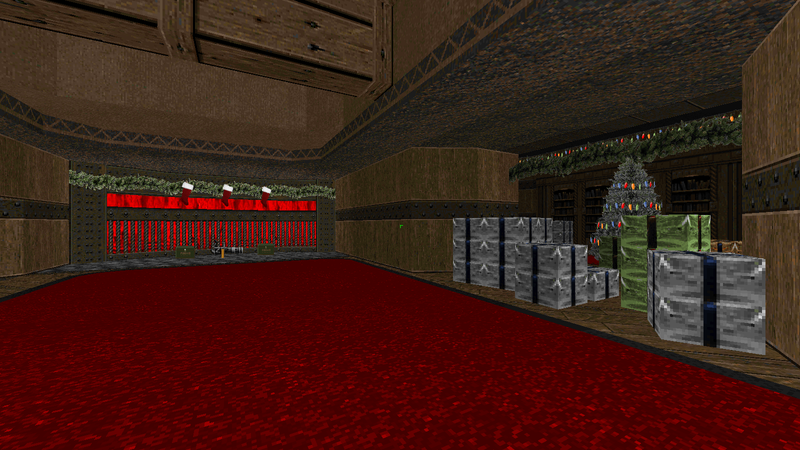 On the whole its a cute little map with some homely touches like presents and stockings hung over a hellish fireplace. The music comes from Home Alone 2: Lost in New York from the Sega Genesis, a favorite of mine from my childhood. 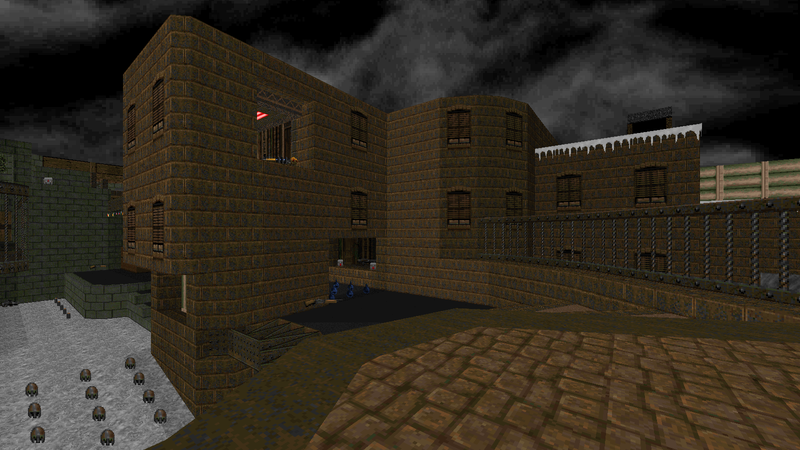 I’m unsure if the set has a finalized release, but you can check out the project’s thread here and download RC2 from HERE. According to the project thread, it looks like the project may get an update for 2018? Also if the project gets a more official release, I’ll update this page with the new info.